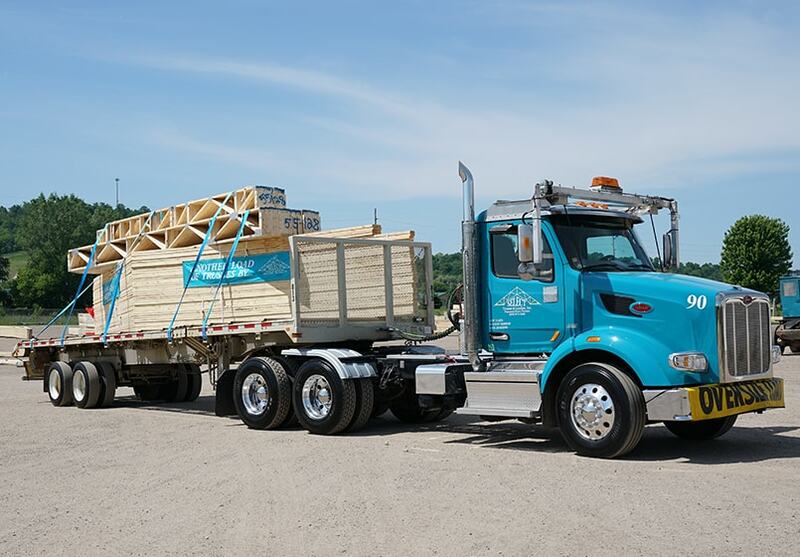 Truss Delivery | Select Trusses & Lumber, Inc. Delivery charges are included in the quoted price if the job is within a 200 mile radius of West Salem, WI. To calculate shipping costs outside of our normal 200 mile radius just ask your Select salesman. We have routine delivery routes covering much of Wisconsin, Minnesota, Illinois, and Iowa. Our flat bed trucks are used for smaller job sites while we have delivered up to 106′ trusses with our extendable trailers. Trusses on both the flat bed trucks and extendable trailers are always carefully rolled off.